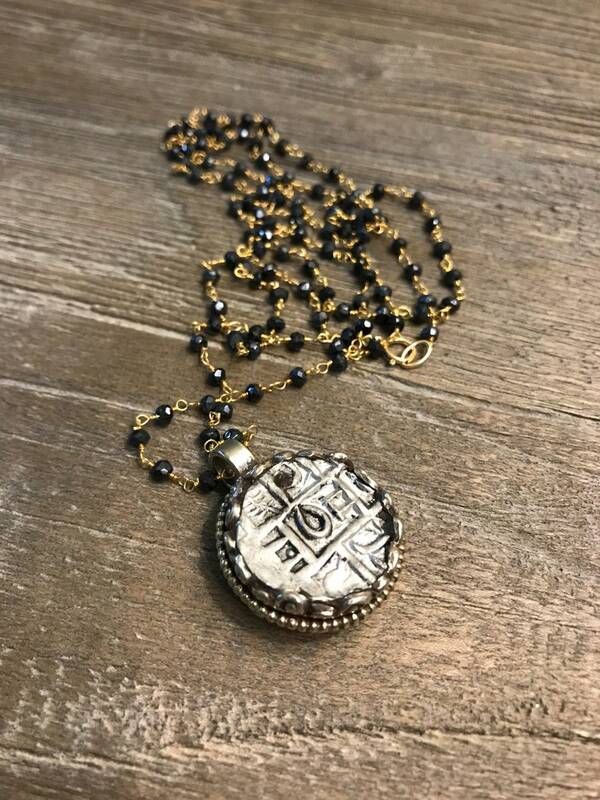 This is a beautiful 34 inch long Black Spinel & Gold Rosary Necklace with a vintage double sided coin pendant. 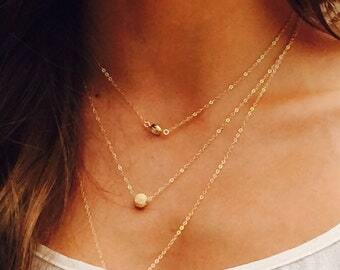 Wear the necklace long or doubled for more variations. Necklace closes with a 14K gold fill spring ring clasp. 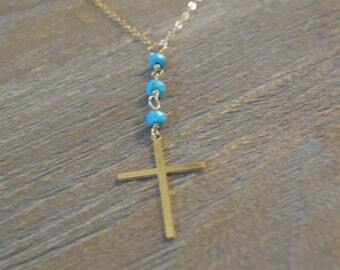 ✦This necklace is approximately 34 inches in length. Thank you for supporting an indie jewelry artist.